It’s not an all or nothing aspect of life. Ingesting one “shot” of alcohol has significantly different physical effects on a person compared to ingesting 8 “shots”. The same goes for ingesting a cannabis edible equivalent of 10mg THC versus an 80mg THC dose. This thought process can extend to virtually anything in life… consuming one chicken drumstick vs. eight drumsticks, sleeping one hour vs. eight hours, spending one hour in the sun vs. eight hours, etc. It would seem rather silly to focus solely on the effects of only high-end doses while discarding the varying effects that take place between the low and top end. At the 0.05mg/kg dose of DMT, there were reports of euphoria with little to no psychedelic effects. At the 0.4mg/kg dose, the volunteers were reporting “realer than real” experiences interacting with “beings” from alternate dimensions. While much of the focus and discussion surrounding DMT revolves around the experiences from the high level dose, there appears to be a wide enough middle ground that can offer much room for additional discourse. The question is… where to start? In 1988, Dr. J.C. Callaway would publish a paper in the journal Medical Hypotheses titled “A Proposed Mechanism for the Visions of Dream Sleep”. In this piece, he speculates that endogenous production of DMT and MAO-A inhibitor, Pinoline possibly play a distinct role in dream phenomena (ironically enough these compounds “DMT+MAOI” are the major components of the shamanic brew known as “Ayahuasca”). In Q4LT’s 2015 interview with Dr. Strassman, he stated “We have known for nearly 60 years that the lungs make DMT”. If there lies the potentiality for endogenous DMT to be released during “dream sleep” and DMT is synthesized in the lungs, it would appear logical that alterations in respiration rate might be showcased during these moments. A 2010 study in the journal Advances in Experimental Medicine & Biology showcases profound respiration changes during REM sleep. This would point to a potential starting point in observing one of the mechanisms responsible for endogenous DMT production (and possibly Pinoline). While DMT has been speculated to be released in significant amounts during near death experiences and possibly even birth, these moments involve human trauma which would be unrealistic to study in a laboratory setting. On the other hand… dreams are experienced by a significant percentage of the global population every single night. It would seem logical that if the scientific community is to comprehend the underlying mechanisms behind endogenous psychedelic compounds, “dream sleep” would be an immensely useful starting point. Once certain verification has been solidified in studying this particular state, we can begin to branch out and study the effects of replicating precise physiological parameters of “dream sleep” while in a waking conscious state. Practices such as meditation, yoga, “Wim Hof Method”, hypnosis, & dark room/sensory deprivation appear to generate states that fall somewhere in between normal consciousness and “dream sleep”. While verification of fluctuating DMT levels inside the body appear to offer some challenges in terms of measurement (based on trace levels & intrusiveness), there are potentially other measurable parameters outside of strictly biochemicals that coincide with dream states. Taking a wide scope view of this entire organism called the human body might help us paint a comprehensive picture of the external and internal environments that lead to endogenous DMT formation. We will be comparing the differences between average, waking consciousness and distinctly different parameters during and surrounding REM sleep. Mind you… we are taking a look at one potential pathway towards endogenous DMT formation. We believe there are multiple pathways to natural DMT synthesis that are largely predicated on specific alterations of electrical activity in the brain/heart that don’t necessarily necessitate sustained and systemic physiological mechanisms. Let us take a look at 9 measurable changes that vary in terms of intrusiveness and current feasibility. An electroencephalogram (EEG) device is utilized to record and monitor electrical activity of the brain. It’s rather straight forward that EEG activity showcases distinct changes in brain activity in normal waking consciousness vs. sleep + REM cycles. EEG readings would be utilized to compare the differences in frequency, amplitude, and coherence/decoherence of waking consciousness vs. REM Sleep. There are also distinct physiological changes (respiration, heart-rate) that take place during EEG changes that should be noted. Hypothesis: During endogenous DMT formation it would appear that there is a phase-coupling effect (across multiple frequencies) consisting of a slow frequency/high amplitude waves (Theta/Delta) that coincide with bursts of high frequency Gamma waves. We might also see an increased coherence across both left and right hemispheres in rhythmic unison. 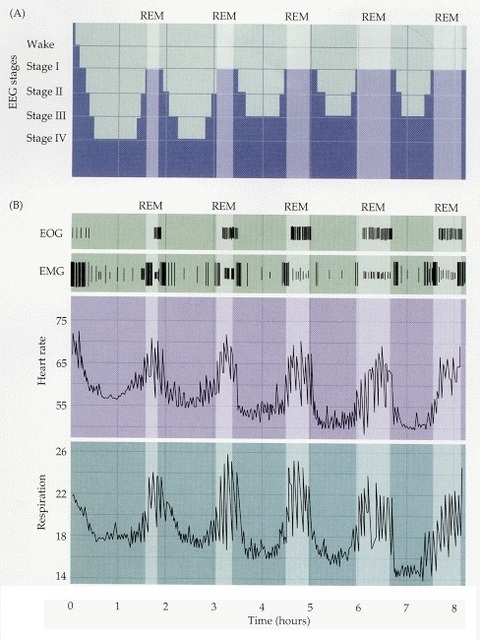 Distinct changes in EEG activity coincide with distinct changes in hormonal release as found in the following studies with meditative techniques (increased amplification of slower wave forms) and melatonin: Biological Psychology (2000), Journal of the Formosan Medical Association (2010), Evidence-Based Complementary Medicine (2011), and Frontiers in Neurology (2012). Sodium, Chloride, Magnesium, Calcium, Bicarbonate, Potassium, and Phosphorus are all ions found in the blood (extracellular), within cells (intracellular), and the cerebrospinal fluid. It is proposed that measurable differences in the levels and ratio of these ions correlate with our differing levels of consciousness. A 2016 study published in the journal Science observed that alterations in the ionic composition of interstitial brain fluid controlled the level of consciousness in mice. They found that arousal was correlated with elevated levels of Potassium [K+] concomitant with decreases in extracellular volume of Calcium [Ca2+], Magnesium [Mg2+], & Hydrogen [H+]. The opposite ionic balance and extracellular volume would coincide with sleep. It was observed that changing extracellular ionic composition in sleeping mice could effectively convert their EEG pattern to that of wakefulness. Being that respiratory fluctuations take place during REM sleep that appear to coincide with DMT synthesis, it’s pertinent to note the ionic fluctuations that take place from hyperventilation (respiratory alkalosis). Respiratory alkalosis occurs when the partial pressure of carbon dioxide is less than 36 mmHg, which results in reduction in hydrogen (H+) ion in the intracellular fluid (ICF), and causes extracellular potassium ion shift into cells. As a result, serum potassium ion (K+) concentration decreases in order to maintain the balance of intracellular ions. Serum K+ concentration during respiratory alkalosis decreases in proportion to reduction in carbon dioxide partial pressure. Muscle atonia occurs during REM sleep and is officially classified as moments when the skeletal muscles are in an extremely relaxed state. Flexing of the muscles or strenuous exercise would be considered the opposite of atonia. In 1994, the Journal of Physiology published a study showcasing the effects of exercise on potassium blood levels. Multiple intensities of exercise all led to a rise in plasma potassium levels. Hypothesis: Specific levels of ions within the CSF, blood, and intracellularly correlate with specific levels of consciousness. Ionic ratios and levels should be identified during regular waking consciousness and compared to moments of “dream sleep”. Since monitoring ionic changes in CSF levels within the brain is overly invasive and cumbersome, the potentiality for fMRI technology could be utilized. Taking samples of venous blood within short-time gaps throughout the sleep cycle would assist in painting an accurate picture of specific ionic ratios or levels that coincide with moments of “dreams”. I’d keep a close eye on chloride levels in particular. Respiratory function is the primary factor of intracellular, extracellular, and cerebrospinal fluid (CSF) carbon dioxide (CO2) levels found within the body. Hypocapnia is a state of reduced carbon dioxide in the blood and is a result of deep or rapid breathing. Diet and muscle movement would be considered secondary factors for CO2 level fluctuations. In 2009 the journal Physiological Measurement published a study titled “REM sleep estimation only using respiratory dynamics”. The study showcased an undeniable correlation between an increase in respiration rate and REM sleep stages. 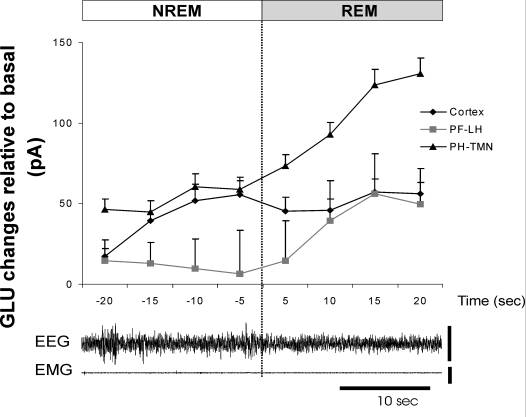 As cited earlier, in 2010, a study in the journal Advances in Experimental Medicine & Biology titled “Rapid Increase to Double Breathing Rate Appears During REM sleep in Synchrony with REM - A higher CNS Control of Breathing?”. 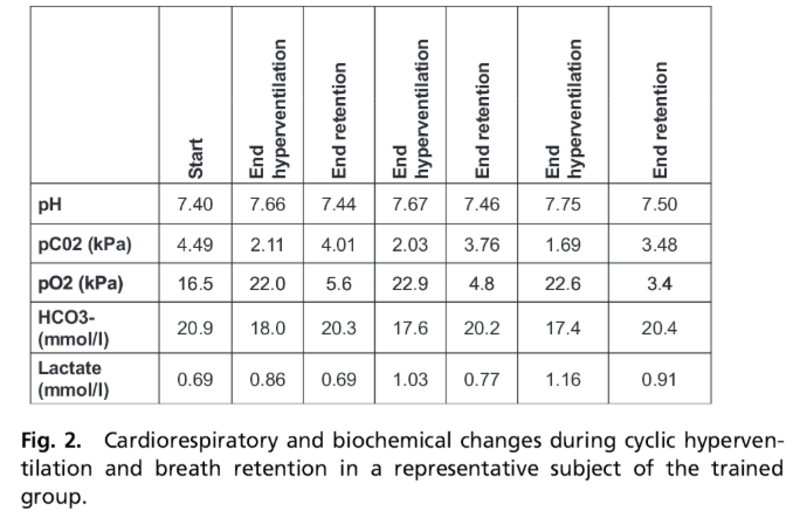 This study obviously reiterates the increase in respiration rate associated with REM. In 2012, a study published in the journal Frontiers in Neurology proposes that slight increases in CO2 from slowed respiration during Non-REM sleep periods might create the parameters to induce increased respiration rate observed during REM sleep. While respiration rate is a primary factor in CO2 fluctuations, the fact that a person’s metabolic rate slows down during sleep coupled with muscle atonia leads us to believe that there are moments of distinct CO2 fluctuations at a systemic level. How this correlates with endogenous DMT synthesis has yet to be determined. We do find it pertinent to note that in the low dose DMT round (0.05 mg/kg) in Dr. Strassman’s study, there were consistent reports of euphoria. 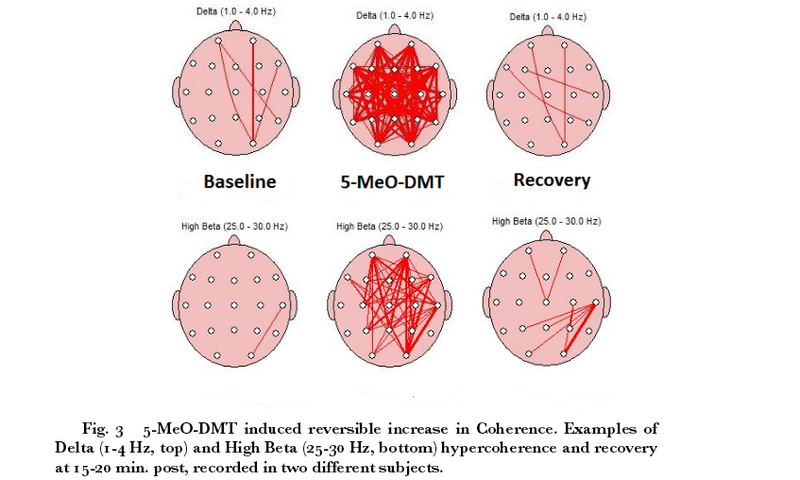 Similar descriptions of euphoria have been reported by practitioners of the “Wim Hof Method” (a respiration based technique) which has been widely speculated as a mechanism to induce endogenous DMT synthesis. If suppressed CO2 levels can lead to bouts of euphoria, it would seem important to probe regarding the emotional effects of elevated CO2. A 2009 study in the journal Cell showcased that induced acidosis via inhalation of CO2 elicited fear and anxiety. Reiterating the DMT correlation with the lungs, it seems pertinent to note that according to Lehninger Principles of Biochemistry, the pH of blood in the lungs is 7.6. This is considered measurably higher than the tissues (pH 7.2) and the pH of blood found throughout the body which generally hovers between 7.35 and 7.45. It’s been noted that CSF volume within the brain changes drastically during sleep compared to that of waking. In 2013, the journal Science published a sleep study that showcased “a 60% increase in the interstitial space, resulting in a striking increase in convective exchange of cerebrospinal fluid (CSF) with interstitial fluid”. A 2015 study in Experimental Neurology states “Recently human CSF has been shown to be in dynamic flux with heart-beat, posture and especially respiration.” This was also observed in an unrelated study in 1989 published in the Journal of Neurology, Neurosurgery, and Psychiatry which showcased a distinct relationship between CSF volume and oxygen/CO2 content. At this point it’s been well established that episodes of REM sleep correlate with increased heart rate and increased respiration rate. We would expect to see distinct changes in CSF volume and flow during these moments of “dream sleep”. In 1997, a study in the journal IEEE Transactions on Biomedical Engineering stated the following: “Modelers of electrical sources in the human brain have underestimated human CSF conductivity by as much as 44% for nearly two decades”. This could be correlated with chloride concentrations in CSF that have been cited as being 15% greater when compared to blood chloride levels according to the Textbook of Medical Physiology. As we can see… the previous 3 parameters of EEG measurements, ionic fluctuations, and pH changes are not independent of CSF brain volume modifications. Hypothesis: An increase of CSF in the brain provides the environment for an altered electrical potential/gradient which leads to and/or coincides with endogenous DMT formation. There is the possibility that large fluctuations in cerebral blood flow (CBF) and volume coupled with antagonistic directional flow of CSF provides the conditions of “dream states”. Melatonin is an easy place to start as it’s been well established for decades that peak melatonin levels occur during the middle of the night. While this peak level has largely been attributed to darkness, the studies cited prior in the EEG hypothesis showcase the fact that elevated melatonin levels coincide with altering one’s EEG waves via meditative states. There are also studies showcasing the effects of exogenous melatonin having a “hypnotic” effect and increasing Theta brain wave activity: Neuroscience Letters (1996) & Journal of Sleep Research (1999). It would appear that this particular mechanistic pathway towards endogenous DMT formation is preceded by elevated melatonin levels. Dopamine has been considered to have an antagonistic relationship with melatonin. In essence, when melatonin levels peak, dopamine levels are suppressed and when dopamine levels peak, melatonin levels are suppressed. Generally, this is considered to be evident during the sleep-wake cycle as throughout the day melatonin levels are at their lowest while dopamine levels are at their highest. It’s intriguing to note that while melatonin levels peak during sleep, dopamine levels were shown to increase significantly in mice during REM sleep in a 2005 study in the Journal of Neuroscience Research, a 2002 study in the European Journal of Neuroscience, and a 2006 study in the Journal of Neuroscience. Noradrenaline (norepinephrine) has been documented to have a direct impact on melatonin synthesis. There are a handful of studies that showcase the relationship of the analgesic effect of 5-methoxy-N,N-dimethyltryptamine (5-meo-DMT) and noradrenaline (Brain Research - 1985, Physiology & Behavior - 1987). There are also peripheral studies showcasing noradrenaline levels fluctuating based on bouts of hyperventilation which might concur with REM sleep periods. Pinoline is proposed to be derived from melatonin and is classified as a monoamine oxidase-A (MAO-A) inhibitor. 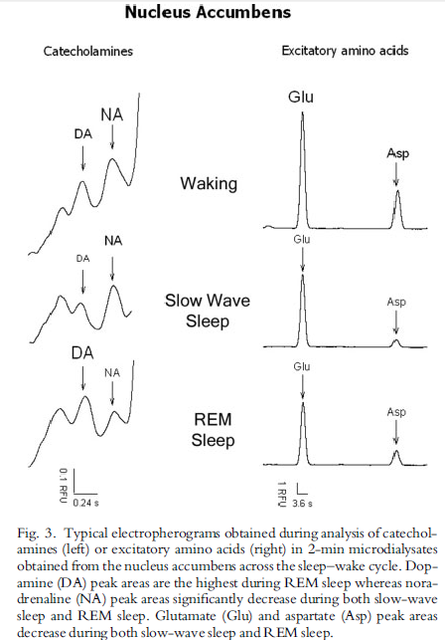 Being an endogenous MAOI, it would seem important to decipher the fluctuations of this compound (albeit trace) preceding and during moments of REM sleep as MAOI prevents the deamination of DMT. A 1984 study in the journal Experimental Eye Research observed the fact that melatonin and pinoline occurred in similar quantities in the retina of the human eye. A 2008 study in the journal Current Biology alludes to the fact that MAO-A activity is regulated by circadian-clock components. In addition to Pinoline, there are the following MAO-A inhibitors Tryptoline, Harmane, Neurocatin, Tribulin A, Isoquilonium Derivatives (Salsolinol, 1MeTIQ) & MAO-B inhibitors: Phosphatidylserine, Quinolinic Acid, Tribulin B.
Hypothesis: The dream state is preceded by saturation of melatonin levels in the brain and it’s fluids. If melatonin and dopamine occur in antagonistic form, perhaps the dream state occurs from moments in which levels of both hormones are elevated for brief periods of time. MAO-A (especially) and MAO-B activity should be measured in platelets and various brain regions post-sleep, during all sleep stages and REM sleep. This is important to understand the mechanisms of endogenous MAOI release and the timing that potentially coincides with “dream sleep”. Brain tissue sampling is obviously very invasive so platelet and plasma measurements would be realistic for human studies. A 1993 study in Neuroscience and a 1997 study in Pharmacology Biochemistry and Behaviour (both rat studies) observed that REM sleep deprivation altered MAO-A activity in various regions of the brain. 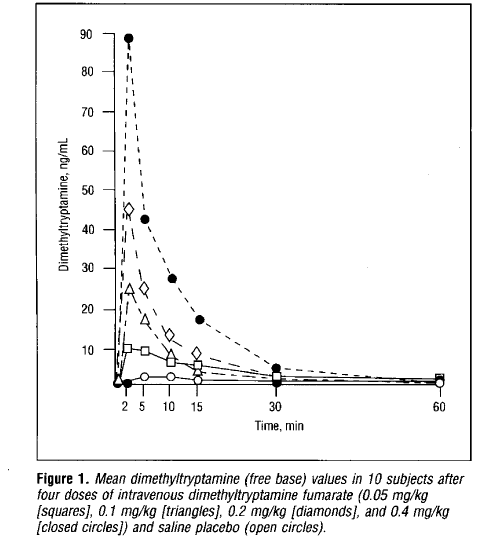 Noradrenaline release appears to be affected by respiration rate but we would need to take blood samples within very timely parameters (2 minute increments) to verify fluctuations. There are likely many other molecules (ex. gamma-aminobutyric acid, acetylcholine, arginine vasotocin) and possibly even concepts such as biophoton emanation that would coincide with DMT synthesis that could be added to the testing panel in order to garner a more accurate picture of mechanisms. The field of Epigenetics is based on studying the changes of altered gene activity without changing the DNA sequence. External and internal environmental factors play a key role in influencing alterations in gene expression. In 2009, a study published in the Journal of Biological Chemistry observed that over 600 genes changed expression more than 2-fold in the pineal gland of rats based on night/day changes. It was found that an estimated additional 2000 genes exhibited changes in gene expression but to a lesser extent. This shows a clear example of the rhythmic nature of gene expression alterations based on environmental/circadian factors. There are a number of studies showcasing the effects of sleep (or lack thereof) on gene expression: Learning & Memory (1999), Brain Research (2000), Neuroscientist (2005), Journal of Clinical Sleep Medicine (2011), Neuroscience Letters (2013), Current Topics in Behavioral Neurosciences (2015), and Sleep Medicine (2015). It would appear logical that if endogenous DMT levels rise at night (more specifically during REM sleep), finding the genetic pathway would be based on observing differences in expression during these moments. This would require consistent monitoring during short intervals in order to document what genes were expressed differently during sleep stage 1, 2, 3, & 4 compared to REM sleep. In 2011, the Journal of Physiology published a study titled “Regulation of gene expression by carbon dioxide”. This is an intriguing study showcasing the potential for altered gene expression based on changes in respiration, food metabolism, and muscle movement. The fact that DMT experiences appear to correlate with moments of suppressed CO2 levels would provide some perspective in terms of the genetic pathway. It would appear relevant to compare the differences in pineal gene expression in relation to darkness vs. respiration vs. sleep (rem included) as there might be some answers in the overlap. Hypothesis: Being that rats were euthanized for the cited experiment, this is obviously out of the question in terms of human studies. However, this doesn’t rule out the possibility of identifying a gene or cluster of genes that form the genetic pathway for DMT formation. Perhaps VMAT2 might be a good place to start as it has been labeled the “God gene”. While much of the focus in terms of studying our perception of the outside world and the “dream” state is based on observing brain activity, the heart appears to play an important role during our sleep cycle. In 2001, the journal Clinical Neurophysiology published a study which showcased an inverse coupling of delta EEG activity and HRV (heart rate variability) during sleep. 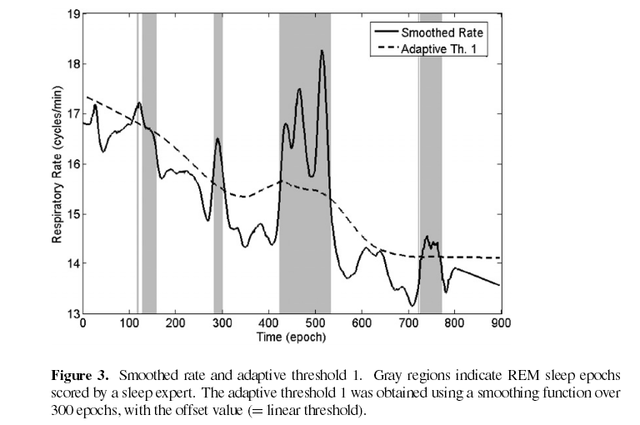 There were distinct changes in ratios that took place during REM sleep which are showcased in the chart below. In 2003, the journal Clinical Neurophysiology published a study showcasing similar findings in terms of HRV-EEG relationship, and Delta wave formation. A 2012 study published in Biomedical Engineering and Sciences showcased the phase synchronization between the heart and the brain during sleep. According to the study, a strong functional connectivity between the brain and heart was observed. According to the synchronization index, delta wave amplification signified the greatest level of synchronization. Hypothesis: The heart and brain operating in rhythmic synchronization during specific moments at specific levels/speeds leading to increased endogenous DMT formation. We would need a tight time frame (0:30 seconds) of measurements to measure changes/fluctuations that coincide with the “dream sleep” formation. Measurable changes in the direction of DC current in the brain take place during sleep compared to a normal, waking state. This has been outlined in Dr. Robert O. Becker’s book “The Body Electric” and more recently in the European Journal of Neuroscience in 1998. 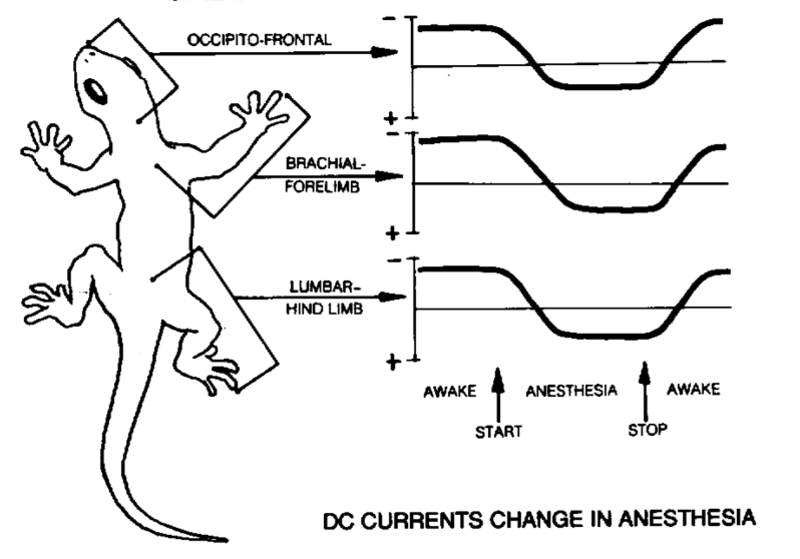 The intriguing aspect of DC current change in the brain is that it also coincides with DC current change throughout the body. 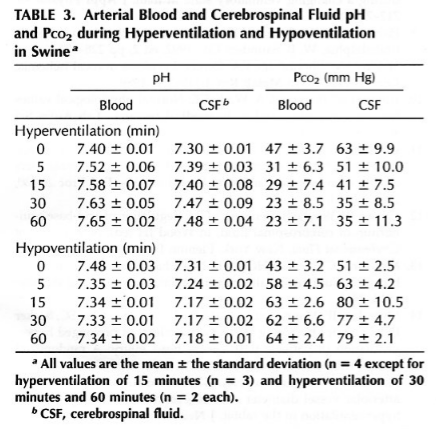 A 1996 study in the journal Electroencephalography and Clinical Neurophysiology showcased a distinct change in DC fluctuation based on inducing hypocapnia (low CO2) from hyperventilation and hypercapnia (high CO2) from hypoventilation. A 2004 study in the journal Diabetes would observe immediate changes in DC measurement from insulin injections in 27 males (humans). Hypothesis: The DC direction within the brain directly coincides with the potential for endogenous DMT formation. Strongly negative frontal potentials coincide with alert, waking consciousness. 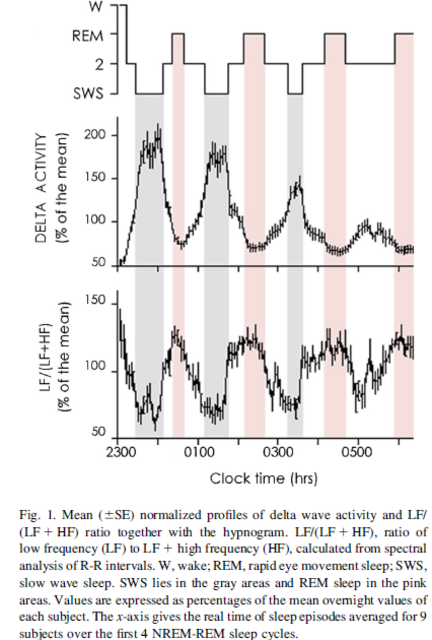 Strongly positive frontal potentials coincide with slow wave sleep (delta). As REM sleep mimics waking consciousness it would seem that a potentially timely shift from positive to negative and vice versa (hyperpolarization/depolarization) has the potential to reflect DMT synthesis in the brain. We speculated in our “Wild Theories” piece that increased formation of the “Fourth Phase of Water” (H3O2) within red blood cells coincides with endogenous DMT formation. The concept of “Chloride Shift” in the lungs play a key role as chloride from the plasma enters the red blood cells as bicarbonate (HCO3-) diffuses out into the plasma. The proposed formation of H3O2 coincides with a lack of CO2 supply coinciding with a suppression of HCO3- via bouts of hyperventilation which leads to OH-(hydroxide) ions binding with water molecules (H2O) rather than CO2. Hypothesis: “X” amount of “4th phase water” (H3O2) within the red blood cells coincide with “X” levels of endogenous DMT synthesis. Measurements of blood pH, RBC pH, RBC volume, and blood chloride levels would be complementary measurements to take during and surrounding REM sleep onset. A 2008 study in the American Journal of Physiology Regulatory, Integrative and Comparative Physiology observed a rapid increase in glutamate levels in the posterior hypothalamic region of the brain at REM sleep onset in rats. A 2002 study in the journal Critical Care Medicine would observe a nearly 400% increase in cerebral extracellular glutamate levels from baseline due to 30 minutes of hyperventilation. Hypothesis: Increases in glutamate release at REM sleep onset increases the formation of hydroxyl radicals (•OH) which subsequently reduce MAO activity leading to increased levels of DMT within the brain coinciding with “dream sleep”. 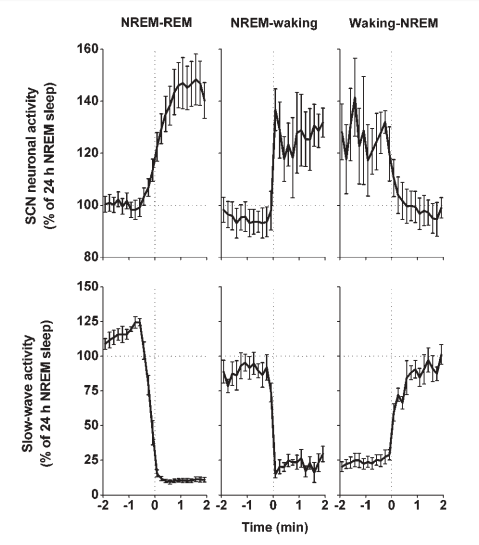 The increased respiratory cycles during REM sleep coincide with keeping glutamate and hydroxyl radical levels elevated creating the subsequent effects. There lies the possibility that hydroxyl radical formation has a direct effect on endogenous MAOI release as well. The suprachiasmatic nucleas (SCN) is located in the hypothalamus region of the brain and is considered to be the “master oscillator” of the body. Much of the changes in activity for the SCN is considered to be circadian based. A 2002 study in Nature Neuroscience measured changes in the electrophysiological activity of the SCN in rats during waking, non-REM sleep, and REM sleep. The study found that there was significant upregulation/down-regulation of electrical activity in the SCN based on states of consciousness. Hypothesis: The suppression or increase of SCN activity coincides with the load and activation phase of the endogenous DMT mechanisms. The lack of electrophysiological activity during non-REM sleep represents the load phase while the increased activity during REM sleep serves as the activation phase. The distinct and rapid changes from low to high activity produce the subsequent “dream” effects while asleep and potentially transcendental states during meditation. Additional potential measurements coinciding with circadian rhythm, REM sleep, and endogenous DMT synthesis: Insulin, Nitric Oxide, Oxytocin, Platelet Aggregation, Ion Channels, Glutathione, Superoxide Dismutase, & likely dozens more. Overview: The general concept of this proposed study is to overlay multiple, measurable mechanisms that take place simultaneously that appear to coincide with endogenous DMT synthesis during sleep. If you look at all of the above charts included in this piece, you might see patterns that coincide with the sleep stages 1-4 and REM sleep. The eleven parameters that I have proposed do not take place exclusively from one another but rather synergistically. From my perspective… this is as much a conversation about measurable alterations (especially electrical) in the brain/body as it is about DMT. In 2011, Dr. Nick Cozzi made a presentation at a MAPs (Multidisciplinary Association for Psychedelic Studies gathering proposing that DMT has the potential to be stored within neurons. Cozzi also proposes that DMT might be released from these neurons in response to depolarization. Based on general observation, it would appear that a slowing of the EEG state during early sleep stages contributes to increased levels of melatonin synthesis. During this time CSF volume increases (carrying with it elevated levels of DMT) in the brain and DC frontal potential begins to reverse from negative to positive. During NREM sleep respiration rate slows, heart-brain synchrony begins, cerebral blood flow decreases, potassium levels drop, and CO2 levels slowly increase. As all these parameters reach a “sweet spot”/ratio, REM sleep begins via sustained increases in respiration rate which coincide with specific levels of chloride ion circulation and increasingly negatively charged red blood cells. During REM sleep, Gamma wave formation arises, dopamine is released, DC direction in the brain is hyperactive with constant depolarization and hyperpolarization across different brain regions taking place, and DMT is simultaneously released from storage in the neurons. I believe that sustained delta wave formation coincides with increasing levels of melatonin synthesis. We are postulating that at a certain threshold the conversion from melatonin to pinoline takes place as well as potentially other endogenous monoamine oxidase inhibitor surges (Tribulin, Neurocatin, Harman, Tryptoline, and Isoquinolium derivatives). This would serve as a preserver of DMT due to it’s monoamine oxidase inhibiting properties allowing for sustained period of “hallucinogenic” experiences known as dreams. This potentially coincides with sustained REM sleep in which dreams last for up to 45 minutes during the latter parts of the sleep cycle. There also seems to be a volumetric based reaction when elevated CSF levels diffuse as CBF increases coinciding with dream states. As I’m sure you are well aware of by now, this is a more mechanistic perspective of DMT formation rather than a strictly biochemical pathway prospectus. The complexities are obviously quite immense. Nevertheless, it does appear that the basic fundamentals behind endogenous DMT synthesis coincide with initially inducing increased melatonin levels via slowing the EEG state followed by bouts of sustained induced respiratory alkalosis for a minimum of 15 to 20 minutes. I’ve received anecdotal reports from people across the world stating that they have been able to successfully induce undeniable altered states of consciousness utilizing this formula without any underlying spiritual connotations. There have also been hundreds of anecdotal reports from practitioners of the “Wim Hof Method” who state that they are having unexplainable experiences from utilizing this breath based technique. Technicals: I believe that the easiest way to design the study is to utilize basic measurements of venous blood in short time frames of (1 to 2 minutes) for a 12 hour period recording baseline prior to sleep, during sleep, during REM, during waking, and back to baseline. We would then be able to track all the periphery fluctuations listed above (hormonal, ionic, RBCs, CO2) that take place alongside the projected moments of DMT synthesis and/or release. During this 12 hour span we would record EEG data, HRV, and DC current measurements as well. While DMT levels (N,N-dimethyltryptamine, 5-HO-DMT, & 5-MEO-DMT) during and following moments of peak REM sleep would be projected to be extremely minute in venous blood, the levels should be measurably greater when compared to baseline. There are also the options to utilize carotid artery blood samples being that if DMT is synthesized in the lungs, a pathway that avoids passage through the liver going directly to the brain would be optimal to measure. CSF measurements are also an option but both of these pathways would be secondary options based on the invasive and uncomfortable nature of doing so. Exogenous DMT Effects & REM Sleep Overlap: Outside of the subjective effects of exogenous DMT administration are the measurable physiological changes that take place within the body. In 1994, Dr. Rick Strassman would publish these fluctuations in the journal Archives in General Psychiatry. Intriguingly enough, many of these changes appear to coincide/overlap with natural REM sleep periods furthering the notion that endogenous DMT synthesis coincides with “dream” sleep. This includes increased heart rate, blood pressure, rectal temperature, vasoconstriction, pupil dilation (during phasic REM periods), as well as growth hormone, cortisol, corticotropin, and prolactin levels. 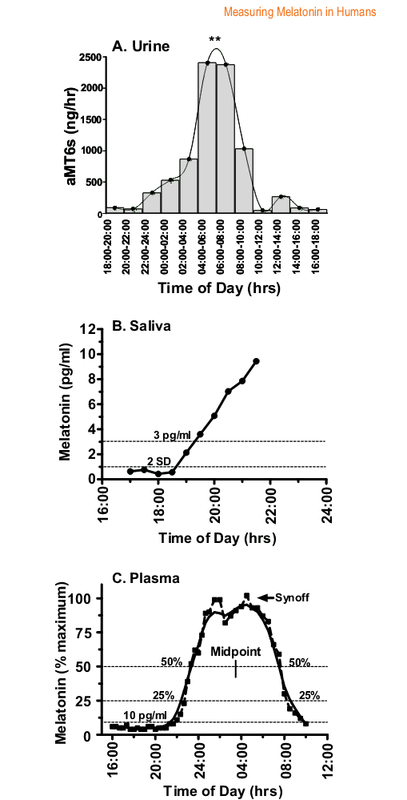 The one notable during the exogenous DMT administration study was that the compound had no effect on melatonin levels. A 1999 study in the journal Sleep suggests that melatonin levels surge during REM sleep. There would appear to be similarities compared to periods of REM sleep based on a handful of studies: Clinical Neurophysiology (2001), Journal of Neuroscience (2008), & the Public Library of Science (2011). While the general public might jump to the conclusion that elevated endogenous DMT levels coincide with mental illness, it’s important to note the specific anatomical differences in the brain seen in mental health disorders compared to normal subjects. There appear to be four commonly seen changes in schizophrenia. (There appears to be a lot of overlap in terms of anatomical brain structure differences in age-related mental disorders such as Alzheimer’s/Dementia & schizophrenia). The corpus callosum is a broad band of nerve fibers that joins the left and right hemispheres of the brain. The following papers showcase atrophy of the corpus callosum in schizophrenia: Schizophrenia Research (2000), Neuropsychiatric Disease and Treatment (2005), Biological Psychiatry (2010), The Journal of Neuropsychiatry and Clinical Neurosciences (2011), and Neuroscience Letters (2011). The choroid plexus is responsible for producing cerebrospinal fluid (CSF) in the ventricles of the brain. The following papers showcase calcification of the choroid plexus in schizophrenia: Schizophrenia Research (1990), International Journal of Neuroscience (1993), Neuroscience Letters (1999), and the Romanian Journal of Morphology & Embryology (2013). The claustrum is a thin sheet-like neuronal structure located in the center of the brain underneath the neocortex. The following papers showcase abnormalities in the claustrum associated with schizophrenia: Schizophrenia Research (2011), Frontiers in Psychiatry (2013), Frontiers in Psychiatry (2015), and the European Archives of Psychiatry and Clinical Neuroscience (2016). The pineal gland is a gland that is part of the endocrine system located in the thalamus region of the brain. The following papers showcase pineal gland and melatonin abnormalities associated with schizophrenia: International Journal of Neuroscience (1992), Schizophrenia Research (1992), International Journal of Neuroscience (1993), Neuropsychobiology (1997), Neuroendocrinology Letters (2011), International Journal of Psychiatry in Clinical Practice (2011), Metabolic Brain Disease (2012), and Psychiatria Danubina (2015). These are a few of the basic anatomical differences between schizophrenia and normal subjects. In 2013, DMT researcher Ede Frecksa would publish evidence for a potentially regenerative role for DMT in the Journal of Neural Transmission. Recent findings published in the journal Psychological Medicine observed that the brains of schizophrenics has the ability to regenerate. This data contradicts the generally accepted view of schizophrenia as a disease that permanently damages brain tissue and cannot be reversed. In 2009, the American Journal of Psychiatry would publish a study measuring the volume of the brain, grey/white matter, and CSF volume in schizophrenic patients compared to control. The study found that brain & grey/white matter were 2 to 3% smaller in schizophrenics than controls. The CSF volume in schizophrenics was found to be 7% greater than controls. In 2012, the journal Drug Testing and Analysis would publish a comprehensive paper reviewing studies reporting endogenous DMT in humans from 1955 to 2010 (69 studies total). 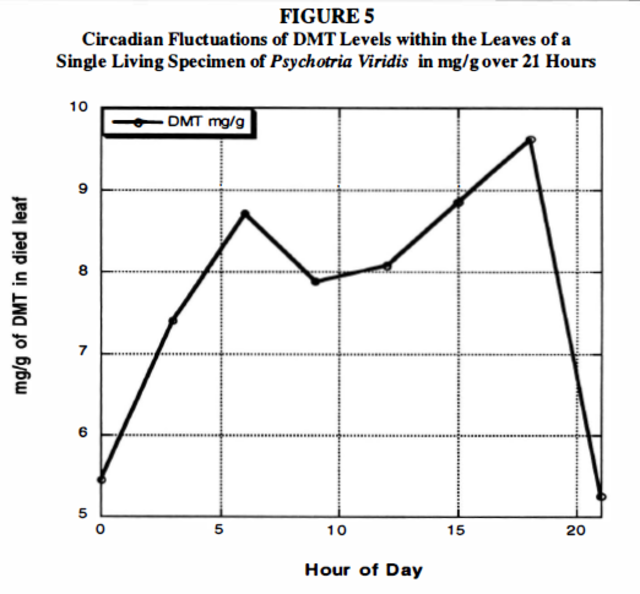 In this review it was noted that levels of DMT in the CSF were significantly greater than those found in blood, urine, feces, and organ tissues. It’s clear that brain anatomy is compromised in schizophrenics and it wasn’t until 2016 that the scientific community has observed regenerative capabilities of these patients. Could it be that the hallucinogenic aspects of schizophrenia are based on greater levels of DMT surrounding the brain acting as a regenerative mechanism? While the hallucinations themselves have yet to be proven as a necessity for regeneration of the brain, perhaps they are the byproduct of the regenerative properties of DMT? One of the body’s natural repair mechanisms is the aspect of sleep. In 2014, the journal Neurology published a study that took place over an average of 3.5 years measuring sleep quality correlation with brain volume. The study found poor sleep quality was directly related to reduced brain volume and increased atrophy across multiple brain regions. In 2015, the journal Neuroimage would publish a study showcasing that brain volume is measurably greater in the morning in comparison to the evening. This could imply that brain volume regenerates from the sleep cycle. In 2015, the journal Current Psychiatry Reports published a paper citing that up to 80% of schizophrenic patients suffered from sleep disturbances. Perhaps we had it backwards all along and instead of DMT being the cause of schizophrenia, it is the anatomical atrophies caused by physiological disturbances (sleep quality that cause the necessity of the body to utilize repair mechanisms). For a more extensive look at the potential effects of DMT synthesis within the body and how they correlate with externalized and internalized experiences read this 6-part Series on DMT & Gamma Waves as well as the “Wild Theories” series.